This morning I meditated on Revelation 5, "Worthy is the Lamb," contemplating the Table of the Lord as the Table of the Lamb. Then in church this morning, to my surprise and delight, we sang this song in worship. I went into the place Revelation 5 talks about, very aware of all the saints and angels singing the praises of the Lamb who was slain for us. It was heaven on earth, wave after wave of His glory washing over me. This may give away too much of the story for you. 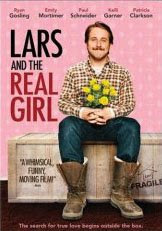 Recently, I watched Lars and the Real Girl with my family. Set in a modern, small Midwestern town, the plot centers on a reclusive young man named Lars Lindstrom (touchingly but deftly played by Ryan Gosling). He decides one day to buy a life-size realistic doll from a mail-order company and introduces her to the world as his girlfriend, Bianca. To Lars, she is very real and he relates to her as if she was a real person, carrying on conversation with her and speaking on her behalf to others because, as he explains, she is Brazilian and speaks no English. His brother and sister-in-law—his only family—do not know how they should respond, but are advised by the town doctor (played by Patricia Clarkson), who is also a shrink, to go along with it. Lars is not schizophrenic, merely delusional, and poses no danger. Not knowing whether or how this unusual development will resolve, they accept the doctor’s suggestion and begin to treat Bianca like a human being. Bianca’s story, as it emerges from Lars, is tragic. She is wheelchair bound and Lars is concerned when she becomes mysteriously ill. 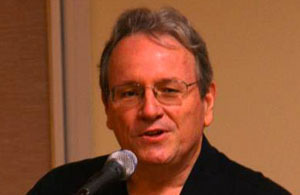 He takes her to the doctor, who engages him in revealing conversation while she undergoes “treatments.” Lars loves Bianca and wants to marry, but Bianca has refused. She is lonely and afraid and, like Lars, has endured a traumatic childhood. Lars’ family shows great kindness to him and Bianca. Though they are bewildered, they are very grateful that he has begun to have significant personal interaction with them. With Bianca at his side, Lars is willing to venture into the world of human relationships. His church and community sense this and accommodate his Bianca, incorporating her into the life of the town, because the more she is involved, the more engaged with others he becomes. He relates to them and they relate to him—through her. Lars is becoming happy in his new life when discovers one day that he cannot wake Bianca up—she is in critical condition. Having only a few days left with her, Lars begins to grieve. Not knowing what this new development will bring, his family turns to the doctor. “He is making all the choices,” she says. And so he is. In the end, having learned to let go of his fear and alienation, he then bravely lets go of the thing that helped him return. Now he is ready to meet the one who has been patiently waiting for him — the real girl. "Heaven meets earth like a sloppy wet kiss."